James Weir Fluid Lab . People . A simple shear flow simulation of rod-shaped particles (simulated by four overlapping spheres). Particles are initially at a homogeneous configuration (left) and then sheared with a constant shear rate (right). 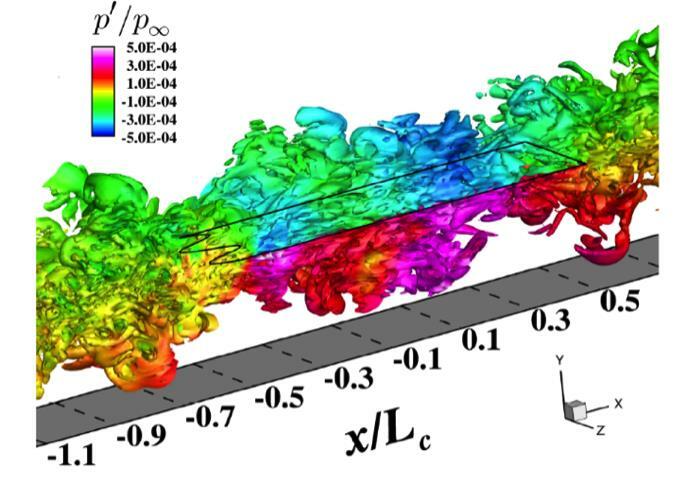 These simulations are used to investigate particle shape effects on their flowability. Each particle is coloured with the velocity magnitude of its centre of mass. Full scale simulation of the Powder Based Additive Manufacturing process. 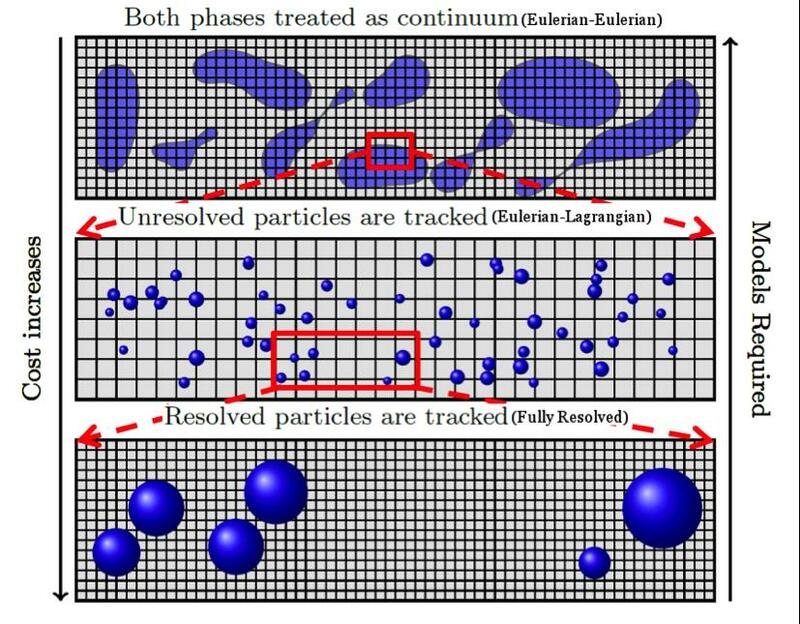 Particle characterisation data are directly incorporated into the simulations. 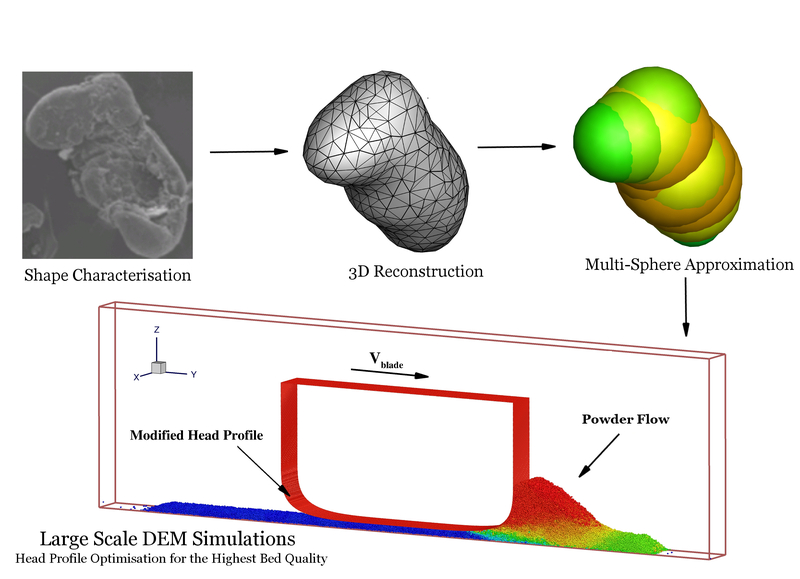 Multi-scale modelling of particulate flow. Direct numerical simulation of the sand erosion process. 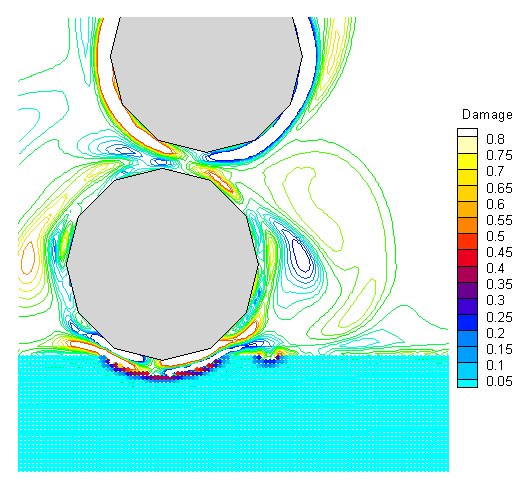 The simulations use a fully resolved coupled Immersed Boundary (IB) - Discrete Element Method (DEM) technique to directly predict the damage.  Development of inflow turbulence models and computational aero-acoustics. Vortical structures of a typical synthetically generated turbulence impinging on the leading edge of a serrated flat-plate aerofoil. The structures are visualized using the Q-Criterion and coloured by the normalized pressure fluctuation. Note the sudden change in the colours on the top and bottom of the aerofoil which shows higher pressure fluctuations and indicates the generation of noise.